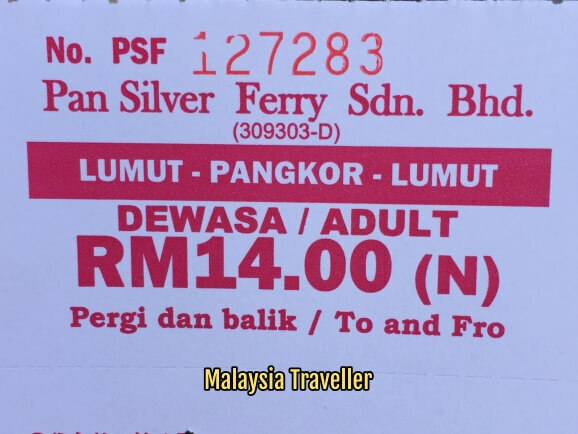 Take the Pangkor island ferry for an inexpensive, hassle-free, comfortable and punctual way of reaching the beach resort island of Pangkor from the ferry terminal at Lumut, Perak. 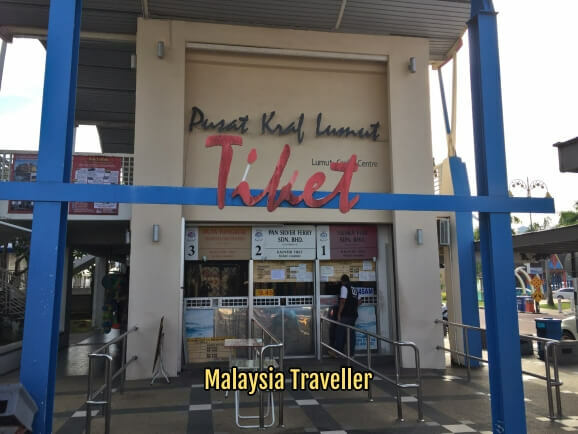 You purchase your return ticket from the ticket office at Lumut Waterfront. The ferries come in various sizes. This one (above photo) had an open deck at the rear (partly shaded) for those wishing to stand and get some fresh air on the way. Or there are air-conditioned cabins inside with plenty of comfortable seating. Ferries depart every 45 minutes for most of the day and every 30 minutes at peak times. 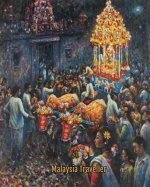 during the hours. You won't have to wait long for your ferry. 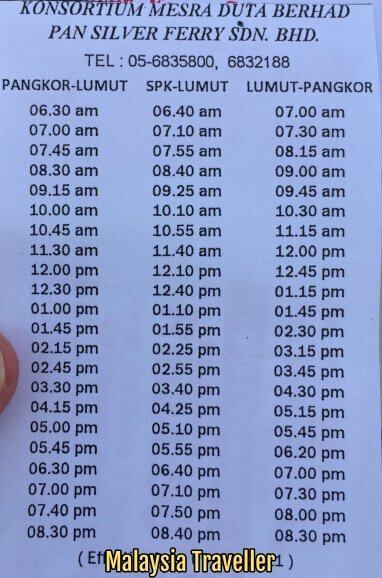 Here is the timetable. 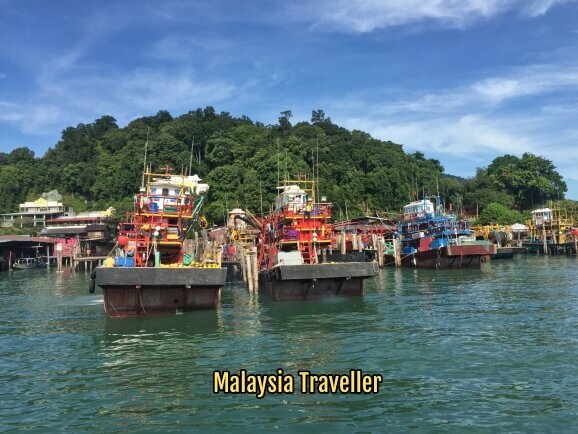 The journey takes 30-45 minutes depending on sea conditions, including a brief stop on the way at Sungai Pinang Kecil (SPK) which is a fishing village on Pangkor frequented mostly by locals rather than tourist or day-trippers. There is nice scenery along the way and you will see colourful fishing boats and houses built on stilts on the waterfront. There is a multi-storey car park a short distance from the terminal. The location is shown on the above map. 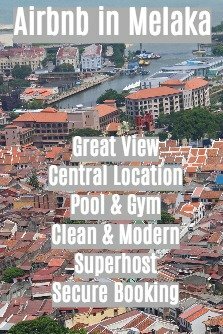 There is also on-street parking in the vicinity of the ferry jetty but bear in mind that you require to display parking coupons if you park here. 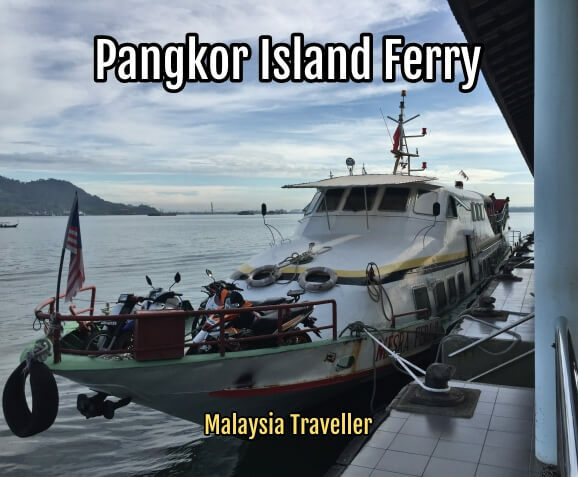 There is also a ferry service from Marina Island to Pangkor which you can read about here. While in Lumut you could try, as I did, hiking up Bukit Engku Busu for an energetic workout and fine views over the Sungai Tanjung and the surrounding area.